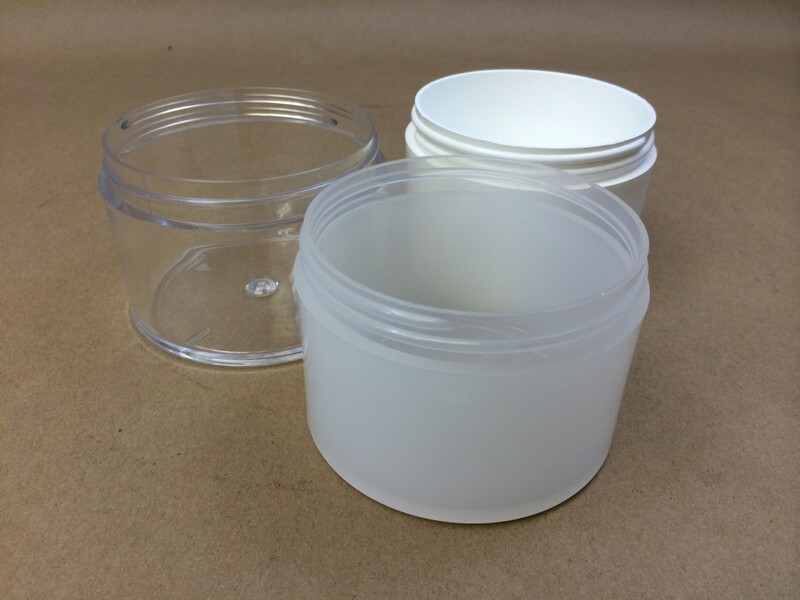 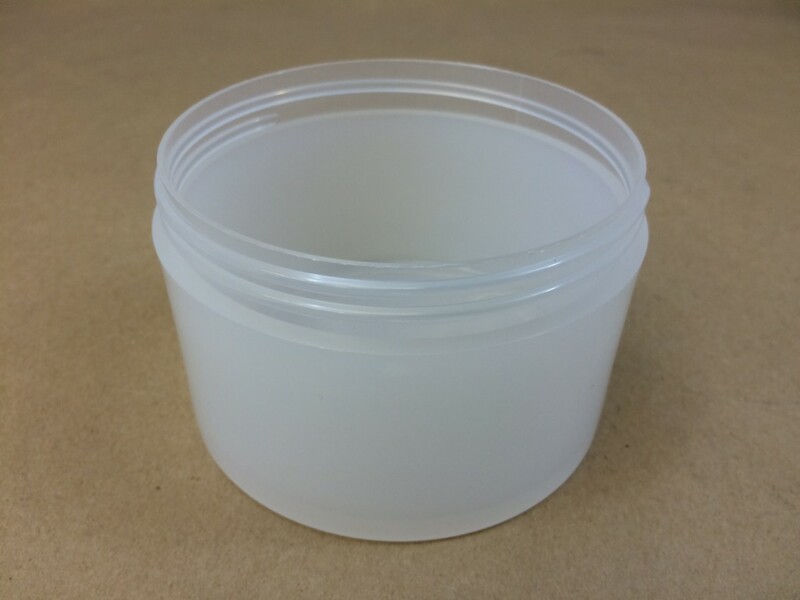 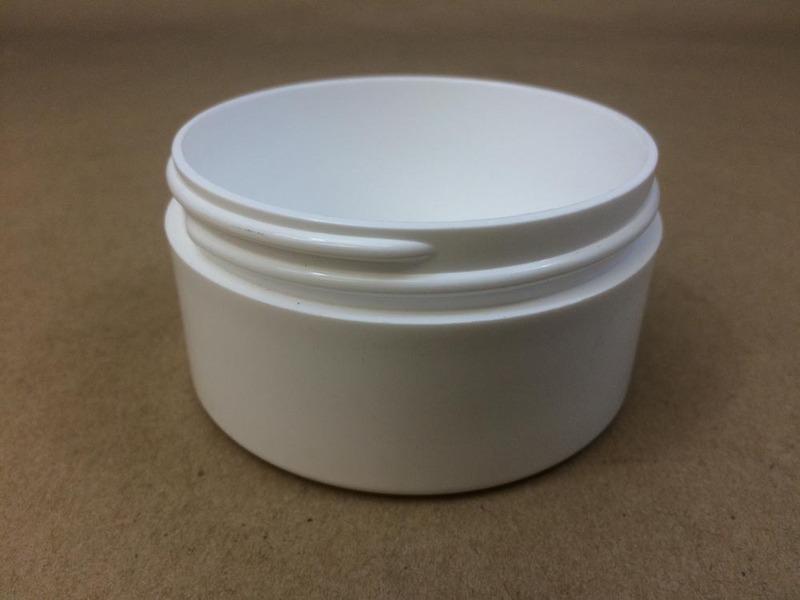 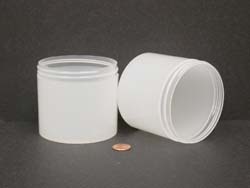 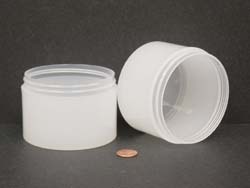 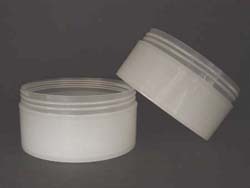 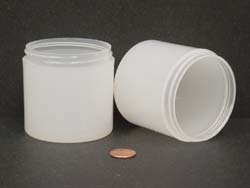 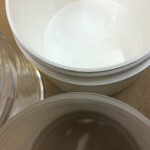 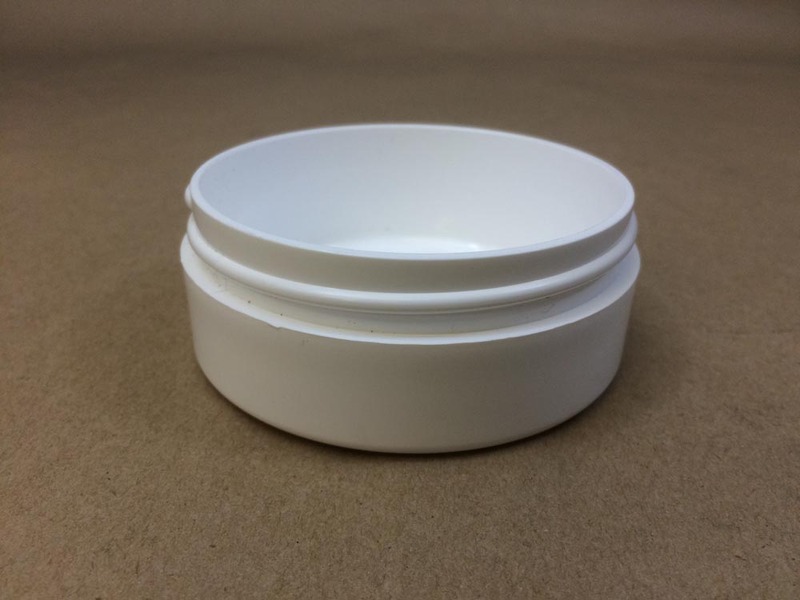 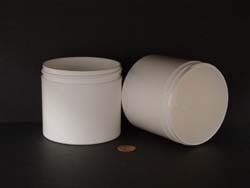 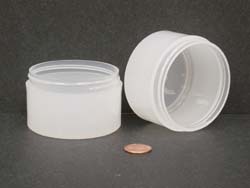 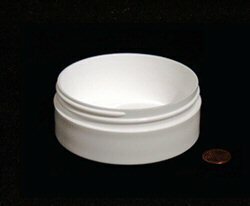 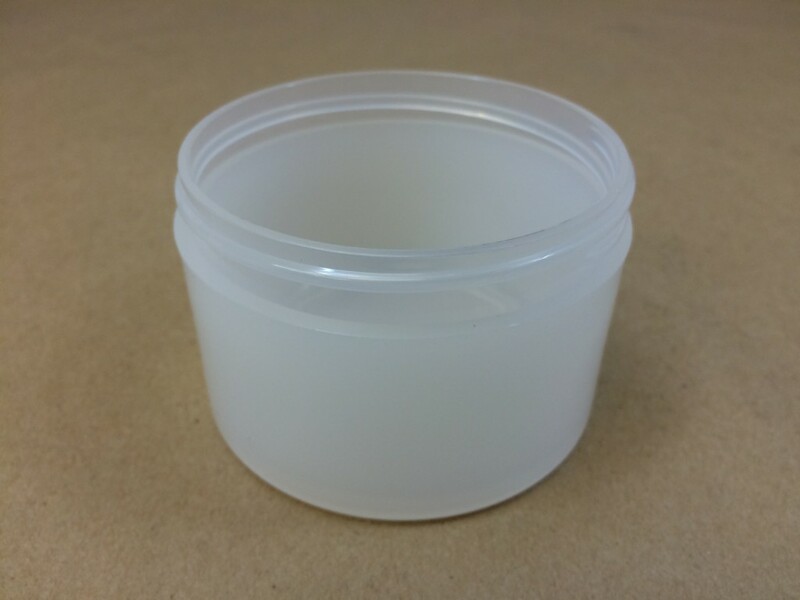 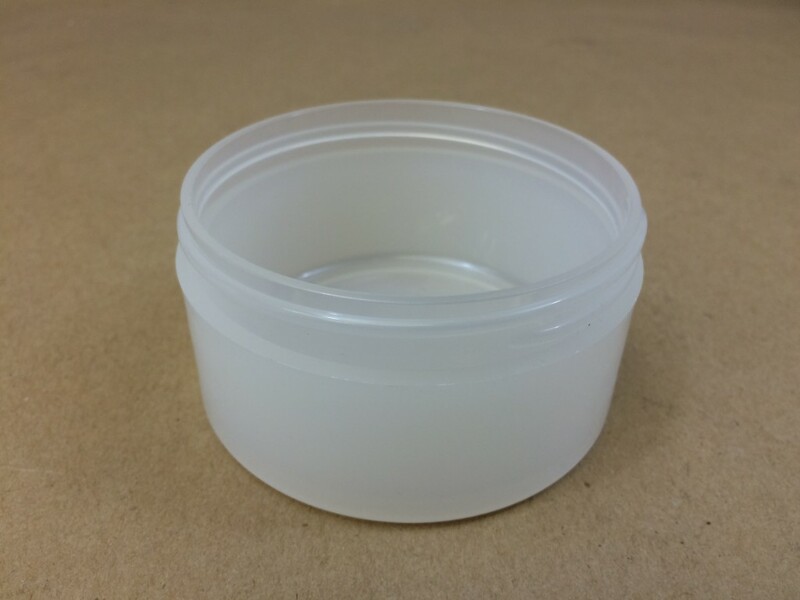 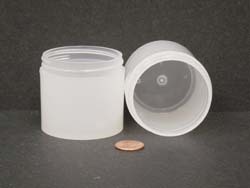 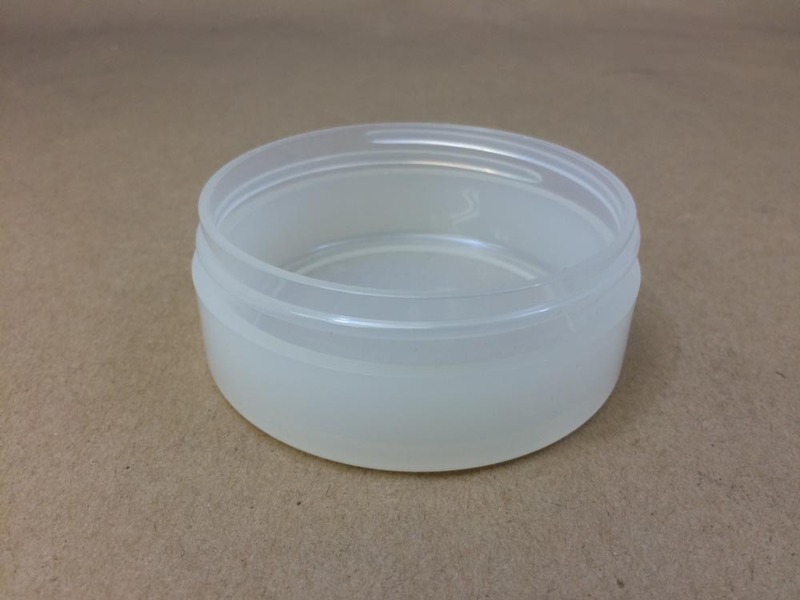 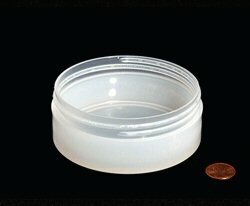 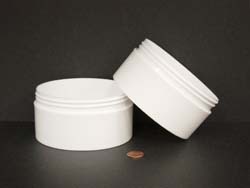 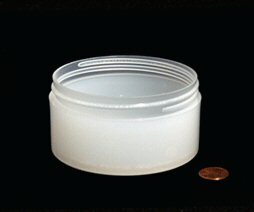 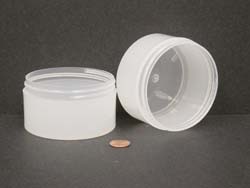 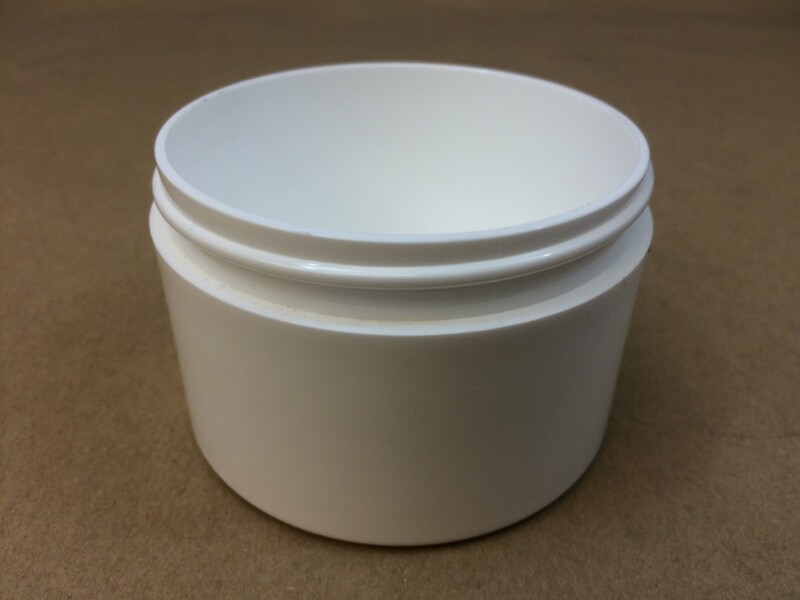 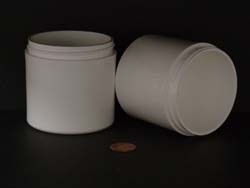 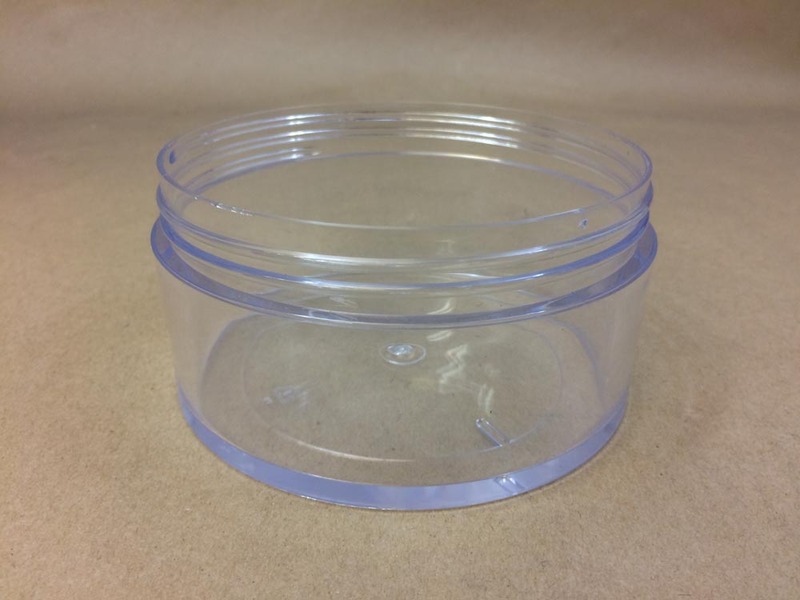 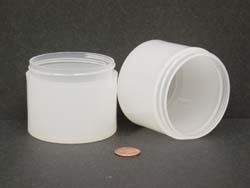 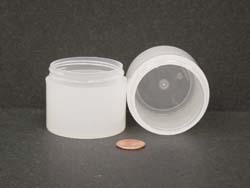 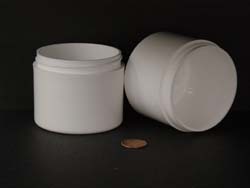 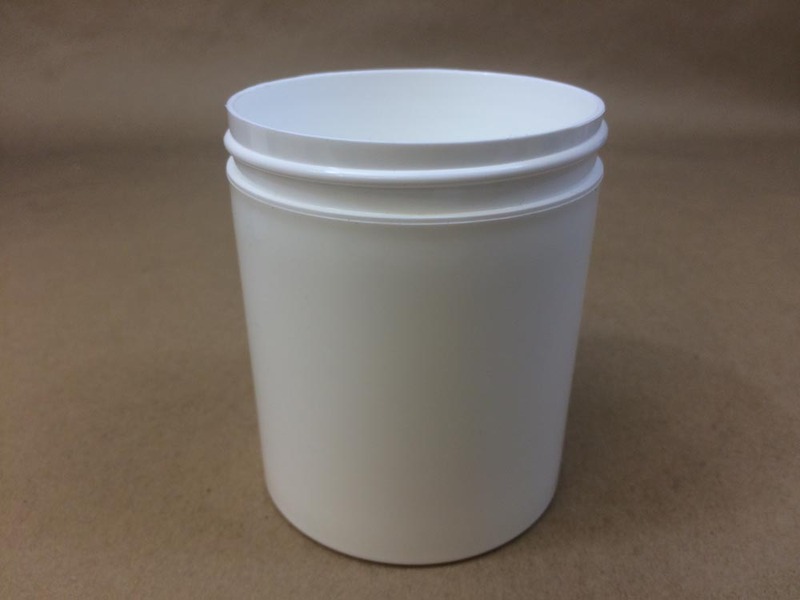 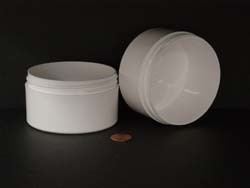 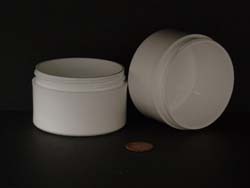 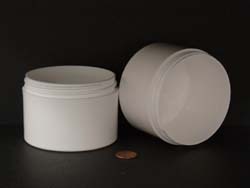 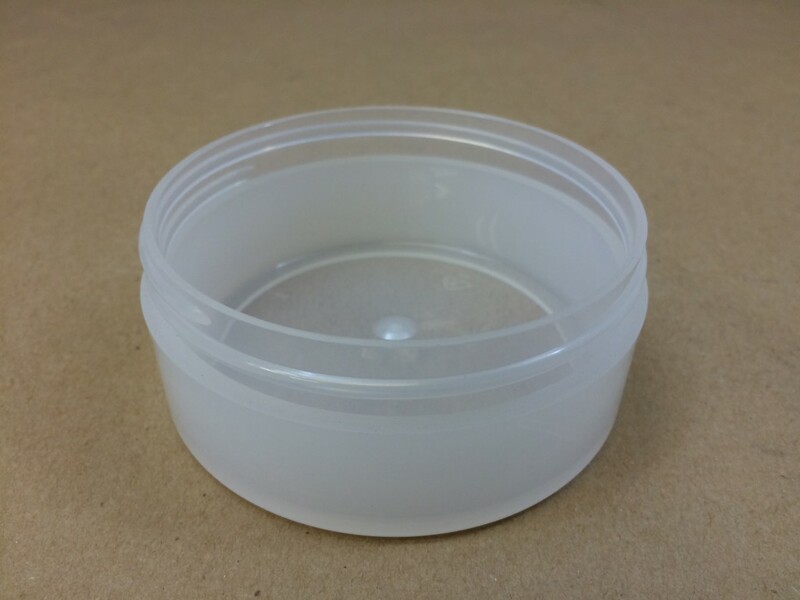 Thick wall plastic jars can be purchased in clear polystyrene, clarified polypropylene, and white polypropylene. 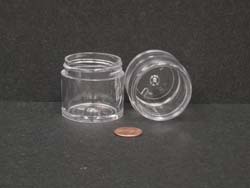 They are available in sizes ranging from 1/8 oz. 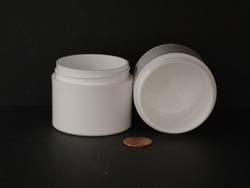 with a 33mm opening to 16 oz. 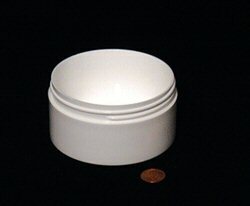 with a 120mm opening. 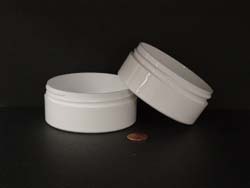 All three types are a special order item. 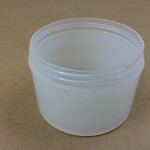 We always send a sample of this product and recommend testing for product compatibility. 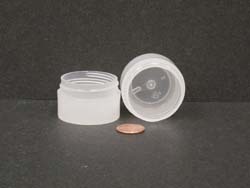 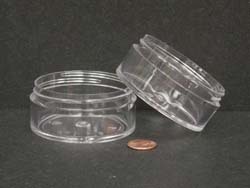 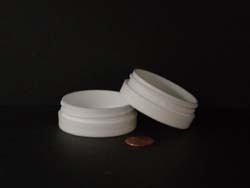 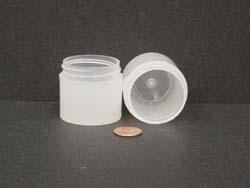 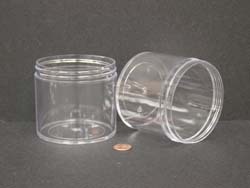 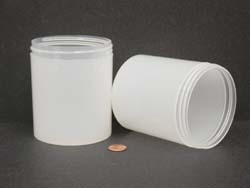 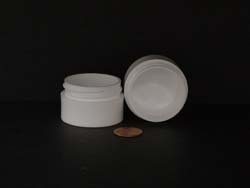 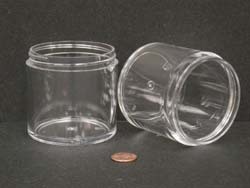 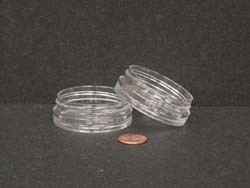 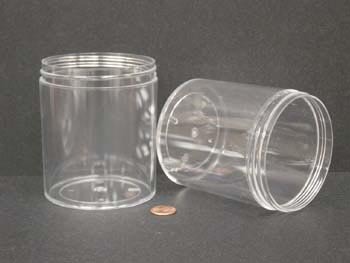 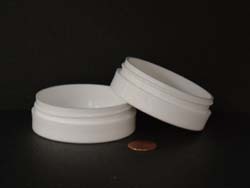 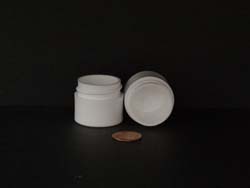 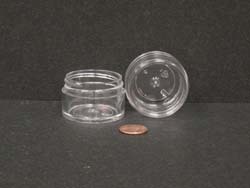 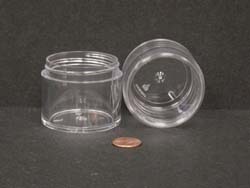 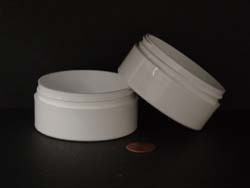 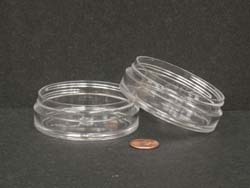 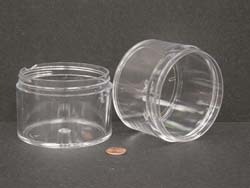 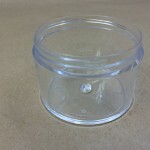 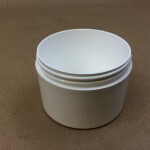 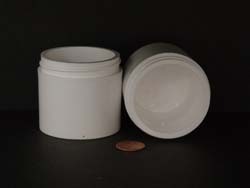 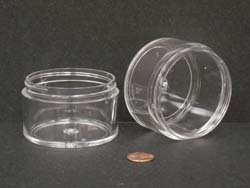 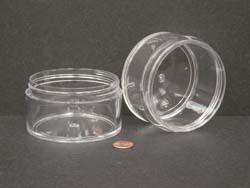 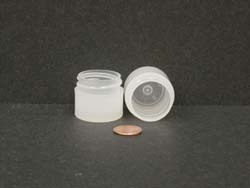 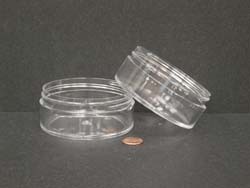 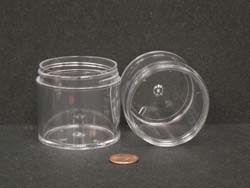 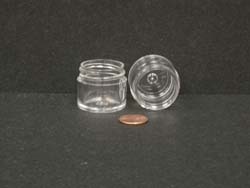 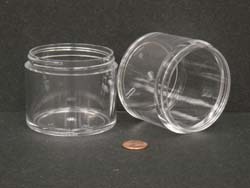 The thickness of the walls makes these small plastic storage jars more noticeable on shelves and less prone to damage. 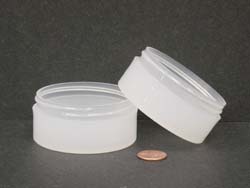 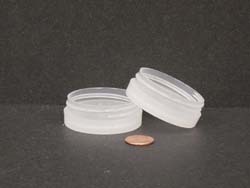 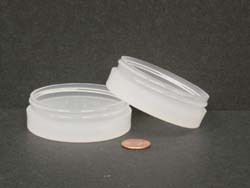 The clear polystyrene plastic jars are made to resemble glass. 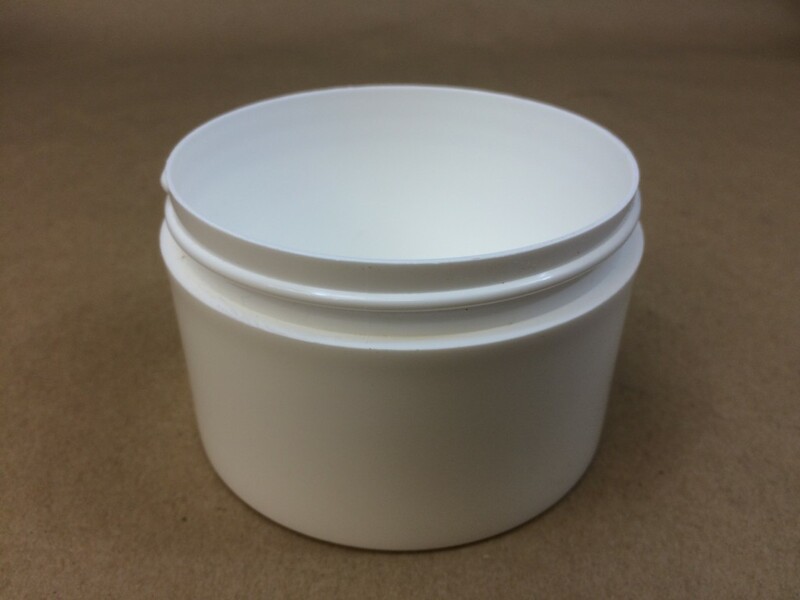 Thick wall plastic jars are sometimes called cosmetic jars as they are perfect for beauty, cosmetic, and personal care products. 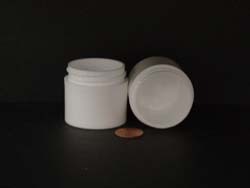 Among other things, they can store cold creams, lip balms, bath beads, specialty creams, salves, mineral makeup, solid lip glosses, solid perfumes, gels and powders. 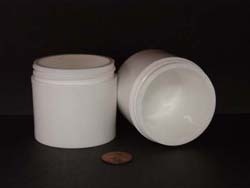 They are also used in the pharmaceutical industry.